1953LF-CZ is rated 4.9 out of 5 by 11. 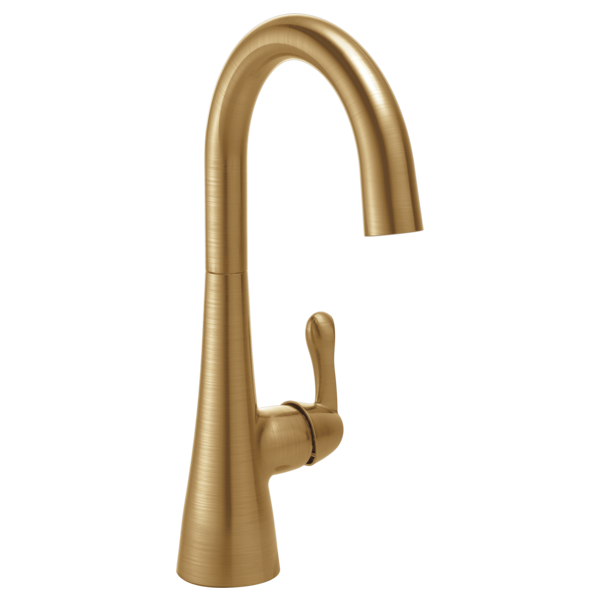 Rated 5 out of 5 by GreggM from Delta Bar faucet I recommended this faucet to our Client based upon years of using Delta products. The Plumber had no issues installing this Bar faucet in the 3cm granite countertop. Our Client and end users have been very satisfied with the fit/finish/solid construction and ease of use. A win for everyone involved! 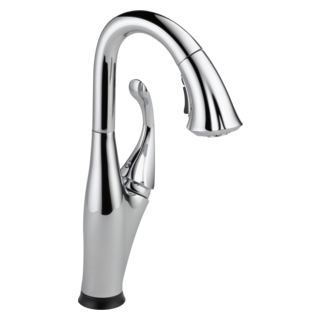 Rated 5 out of 5 by RPL from Delta 1953LF Faucet This faucet is exactly what I needed to compliment the small sink and cabinet hardware. Rated 5 out of 5 by DeeDeeintalent from Love the faucet We got the escutcheon plate to go with the faucet only because our particular installation required it. Love the faucet. 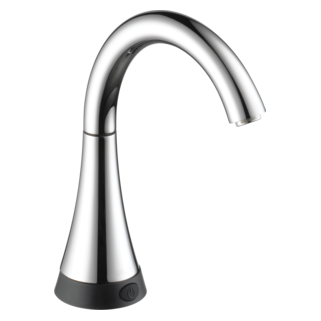 Looks good, works well and is a better faucet than what it is replacing. Installation is pretty easy although ours was a bit tricky because of how the previous faucet was installed. It is installed on our kitchen island bar sink. Rated 5 out of 5 by MetroDwelling from Stylish Faucet in a Beautiful Brushed Brass Finish Absolutely fantastic faucet. Easy to install. 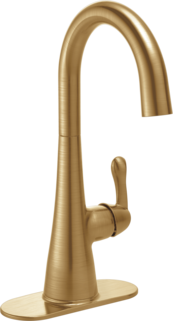 The finish name is a bit confusing however we figured out a while ago that Delta's Champagne Bronze is a very tasteful shade of brass. We used the faucet in one of our bar designs in conjunction with both custom made and stock brass ultraLEDGE shelves/ledges. See photo attached. Rated 5 out of 5 by RRB41 from Very nice finish and looks. The facet was easy to install and works as claimed. Is there a matching sink faucet? Can you recommend a swivel sprayer that can be installed in place of the aerator that comes with it? When we turn the faucet on the the top part of the faucet moves goes up and down. I do not think it should do that. It swivels fine. Does this spout swivel? If so, how far? Is this a bar faucet? Does it hook up to both hot and cold water? I want a smaller bar faucet with a single handle but with no pull out sprayer. Kitchen Faucet. Hook up to hot and cold water. We like the sprayer option. I this in Arctic Stainless. 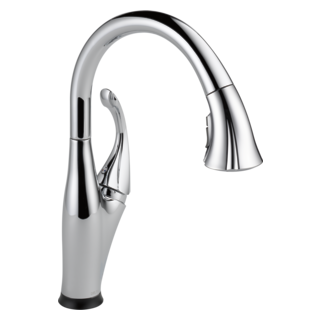 What kitchen faucet - with pull-down sprayer &amp; soap dispenser - would coordinate well with this faucet?